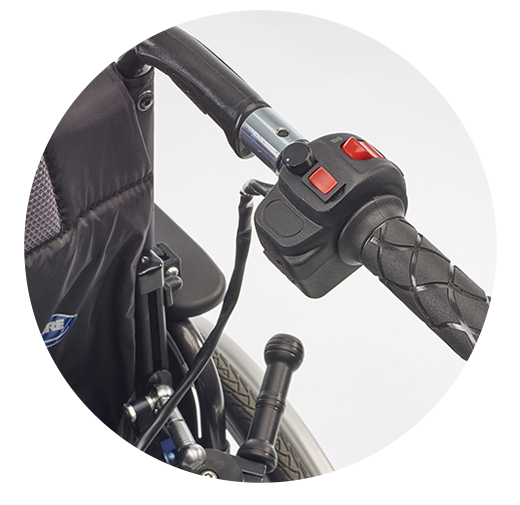 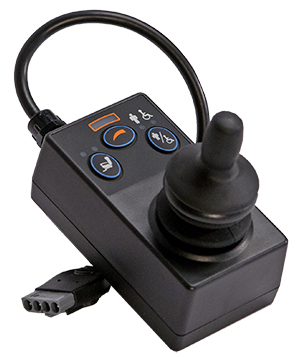 Light Assist² is meant for those pushing a person whose disability prevents them from driving a powered wheelchair. 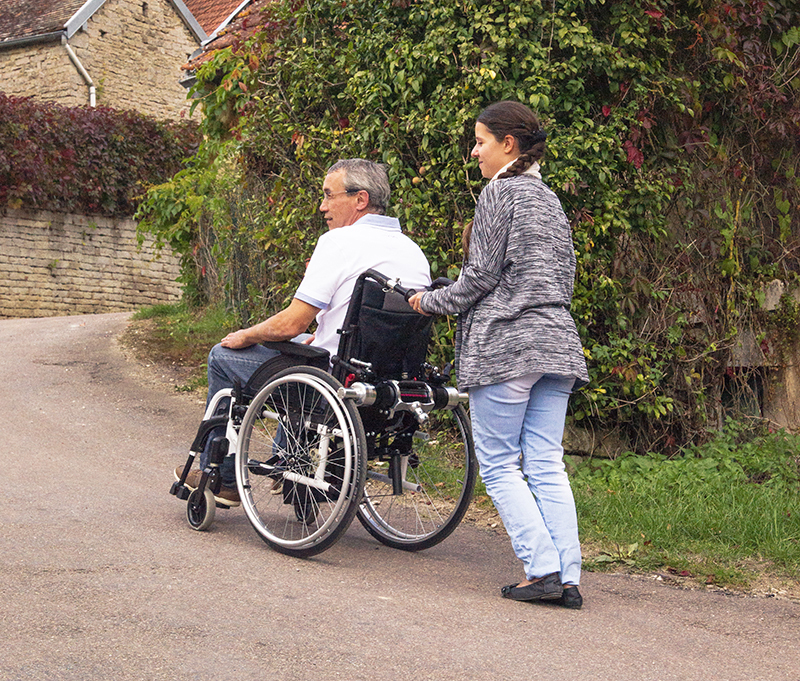 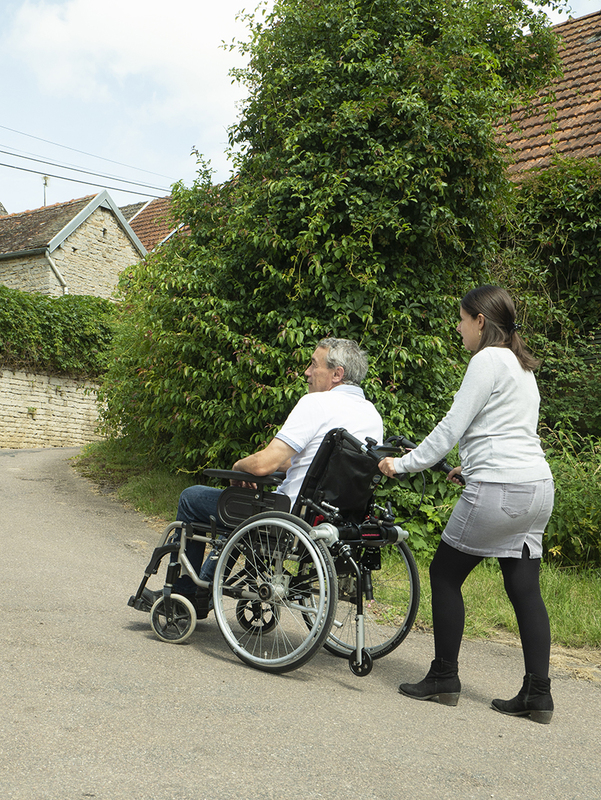 For some sorts of disability, the help of another person is needed for moving about. 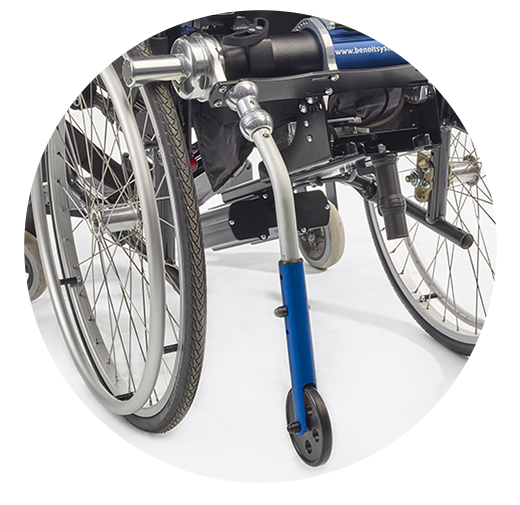 The Light Assist² motor system acts as a strong assistant making it unnecessary for the person helping to exert themselves. 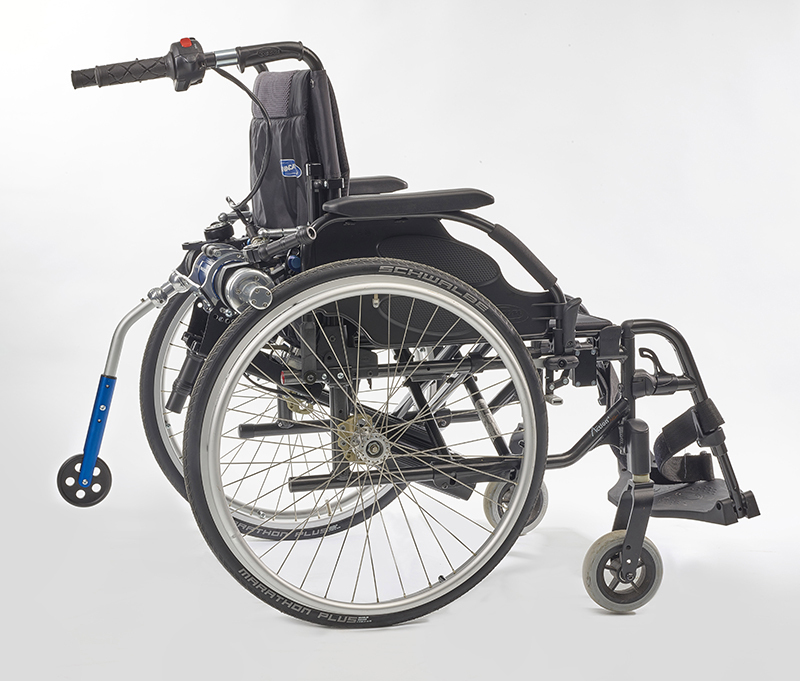 Extremely useful for steep slopes and crossing obstacles, it also ensures complete safety on descents, thanks to the motorised braking, and gives greater comfort by eliminating jolting. 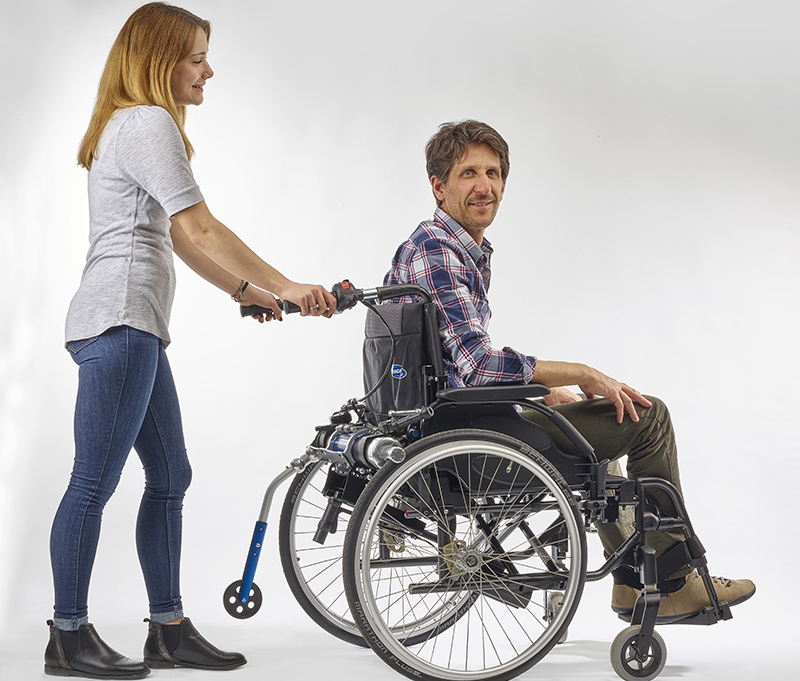 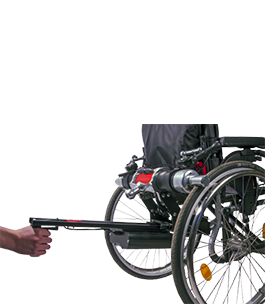 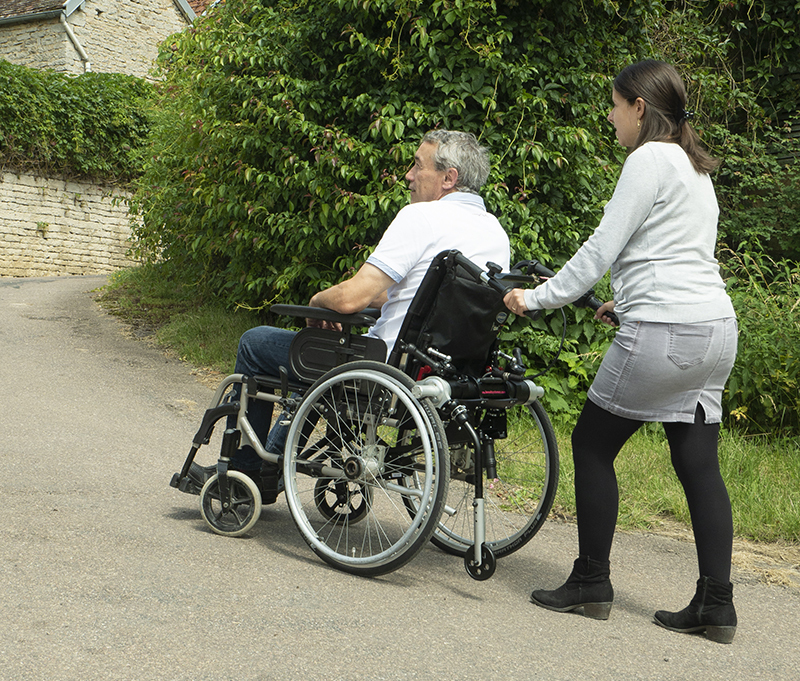 With Light Assist², pushing a person in a wheelchair no longer depends on the strength of the person helping. 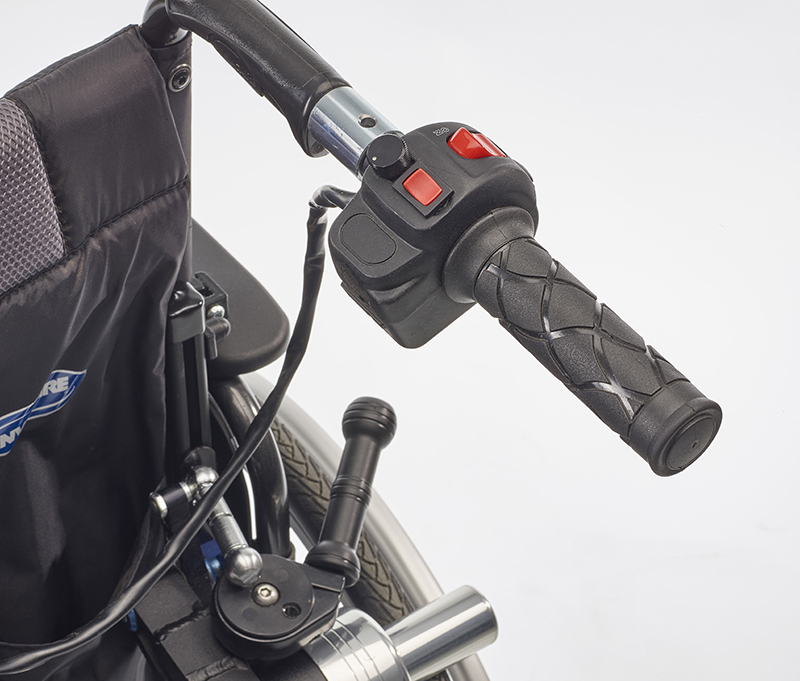 The lengthened handgrips make it easier for you to cross kerbs and other obstacles. 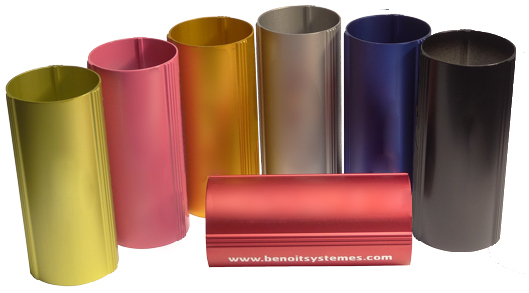 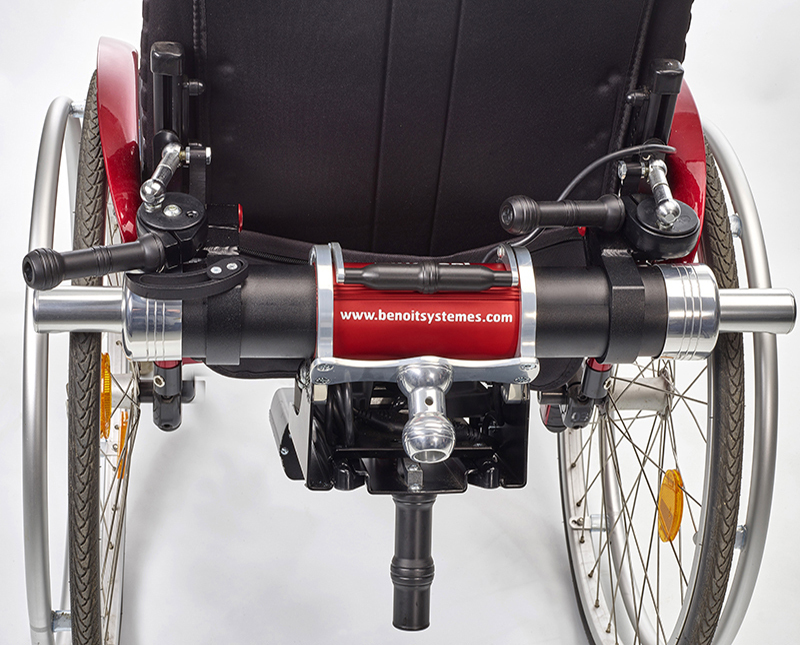 Even the highest kerbs will no longer be a problem. 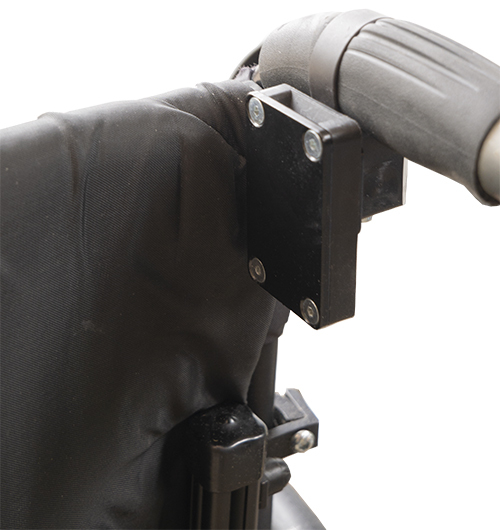 Light Assist² is so light and easy to install on your wheelchair that you will no longer think twice about going out. 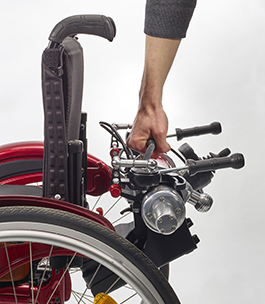 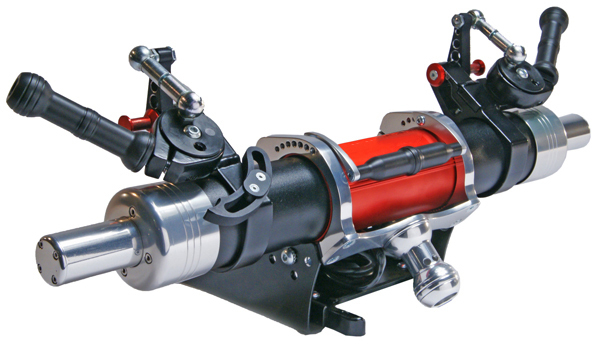 Thanks to its small dimensions, it will be easy to put in your car and you will be able to effortlessly tackle the steepest slopes or gravel paths. 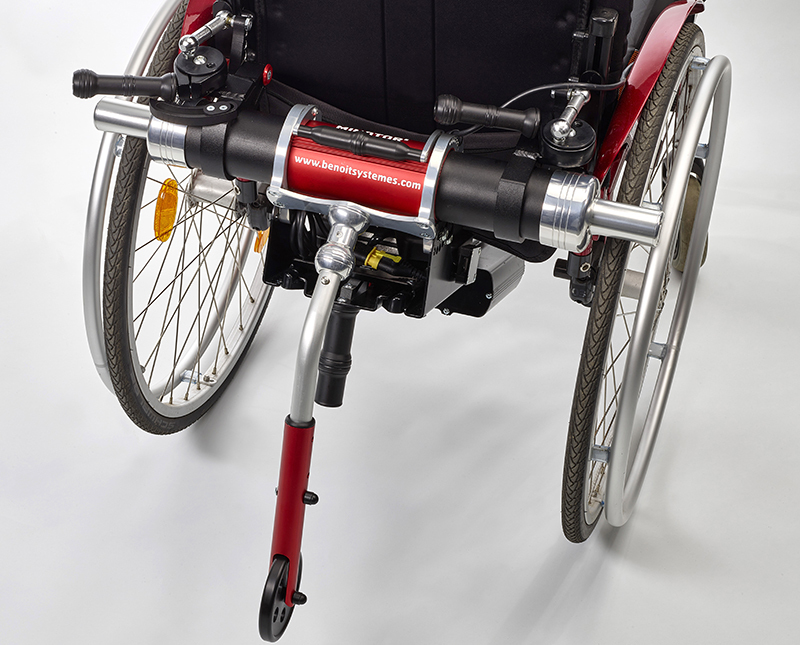 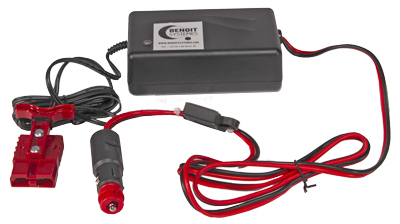 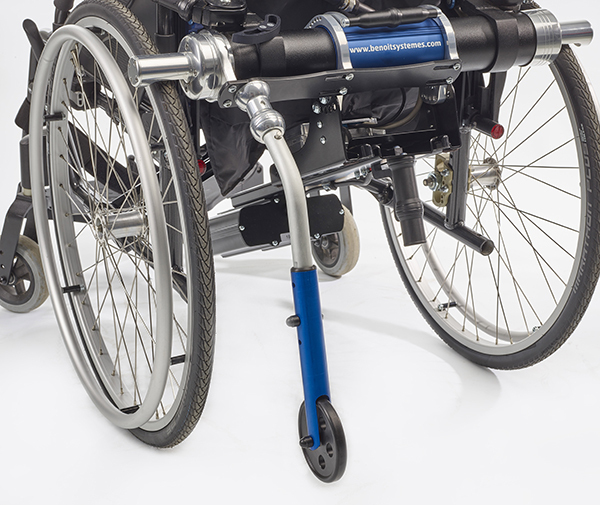 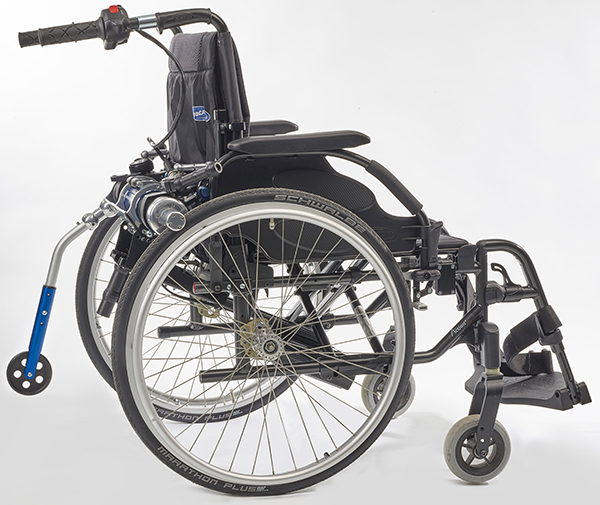 It takes less than 15 seconds to install Light Assist² on a wheelchair. 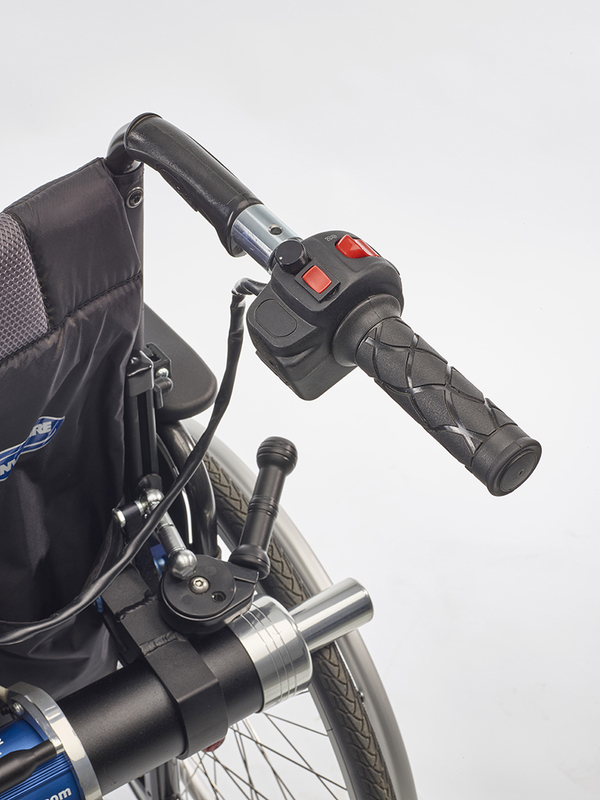 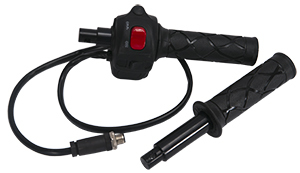 You control the speed by turning the accelerator handle mounted on one of your rear hand grips. 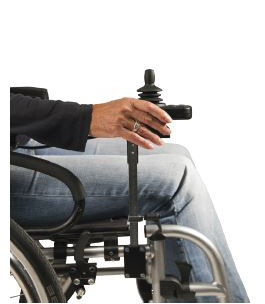 On descents, Light Assist acts as a motorised brake, thus improving your safety.